Dinosaur Canyon provides visitors with an immersive experience into prehistoric Australia. Walking through specially-built pathways, visitors will explore a world of terror and wonder. Dinosaur Canyon currently has five outdoor galleries, including Death in the Billabong, Valley of the Cycads, Pterodactylus Family, Dinosaur Stampede and Kunbarrasaurus ieversi. 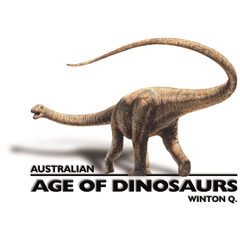 Each gallery will provide you with information into the life of dinosaurs in Australia 95 million years ago as well as the work being carried out behind the scenes to bring them to light.